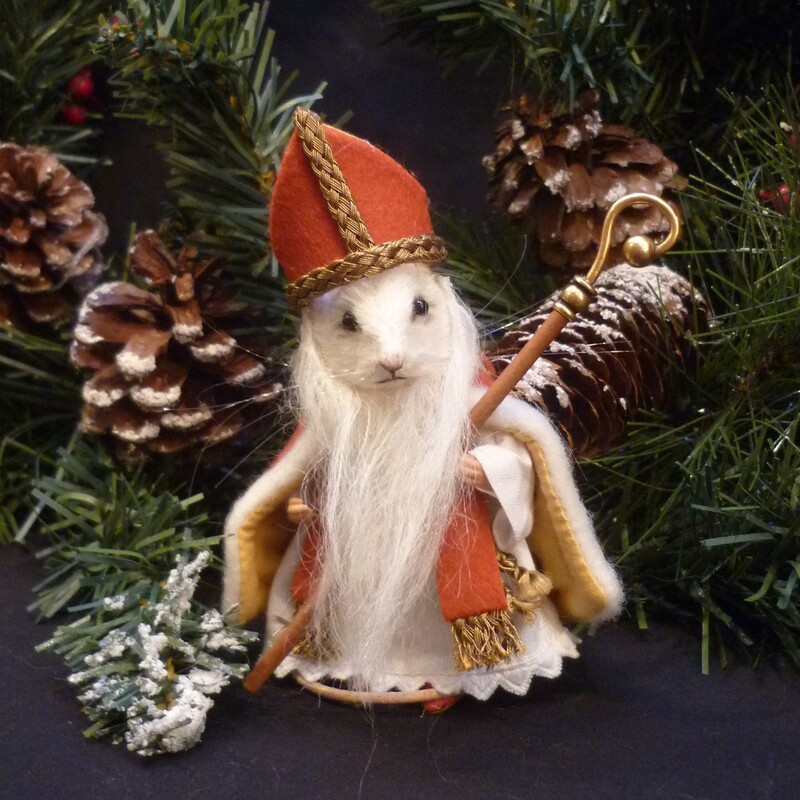 This fantastic little St Nicholas Mouse by R John Wright is made of white mohair. 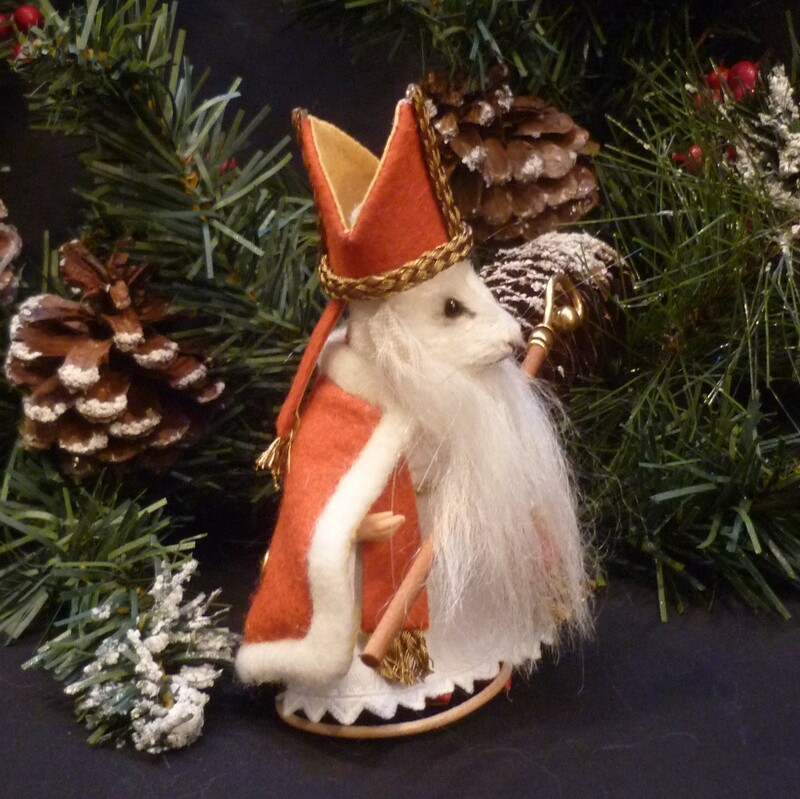 He has black glass eyes, inset whiskers, resin hands and feet and a leather tail. 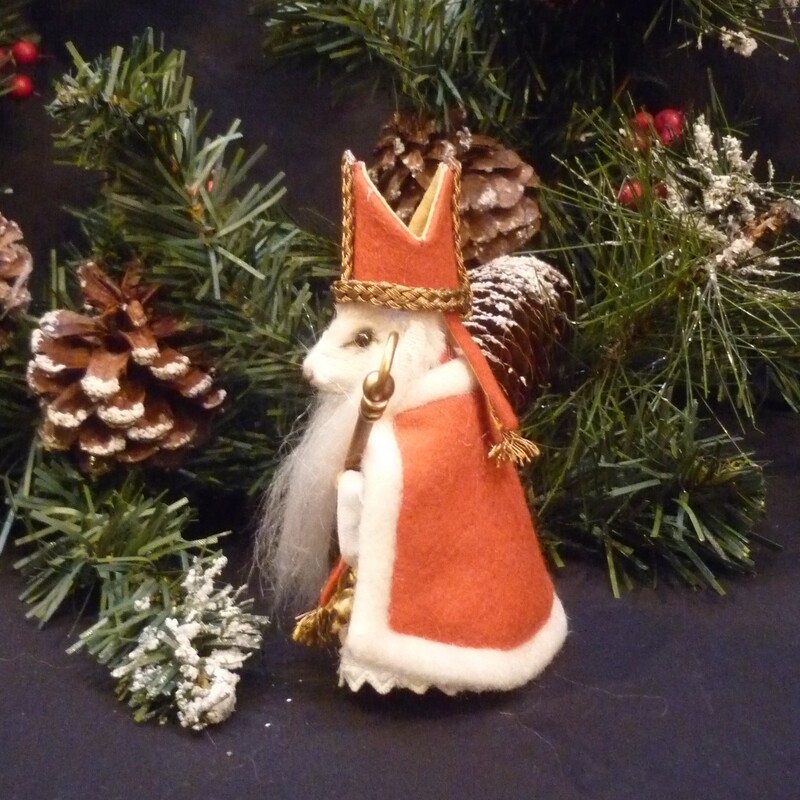 His little red jacket and hat are made of wool plush with a gilt trim and he wears red silk shoes. 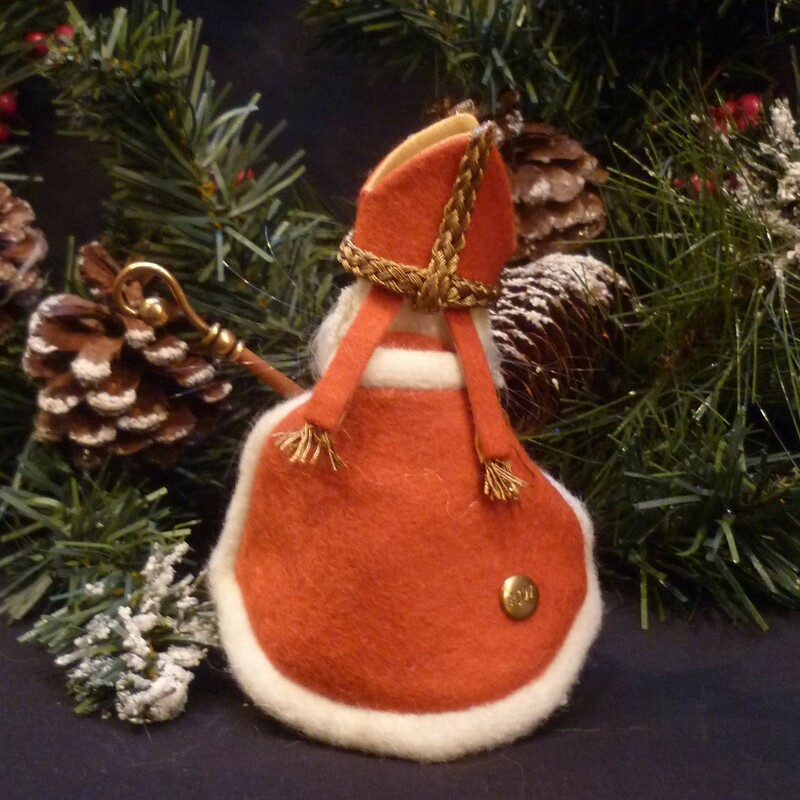 Jointed at the shoulders and neck, St Nicholas carries a wood and brass crozier.